Reservation confirmation email contains an "edit reservation" link that allows guests to change or cancel the reservation. The reservation confirmation email your guests receive now includes the "change reservation" link that allows guests to make changes to the reservation. 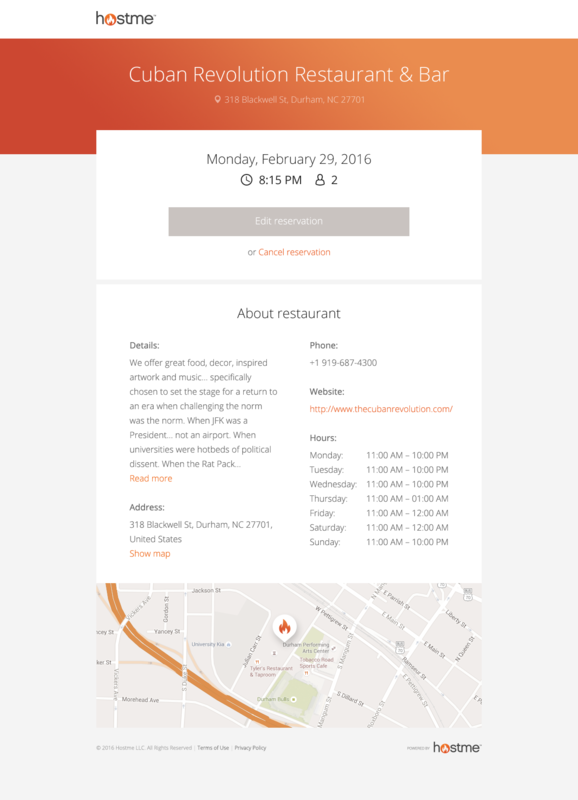 All changes are validated against your restaurant's table availability for the new date, time, or group size. Your restaurant will be notified that the reservation was updated by the guest.